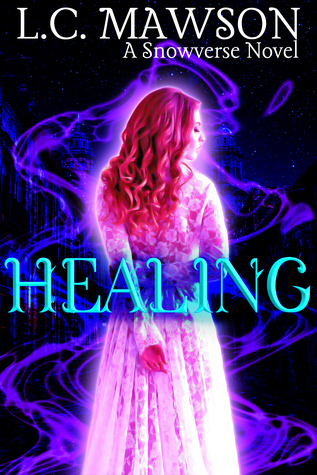 After being kidnapped and tortured by genetically engineered humans for days, Caroline knows that her fellow demons are the ones best equipped to heal her, but her human wife and step-daughter aren’t welcome in the Underworld. Mina isn’t exactly happy to lose her wife, either, but with her sister who had a hand in Caroline’s kidnapping now asking for her help, she has more than enough to keep her busy on Earth. This story picks up where Separated left off. Caroline is no longer captured, and Mina’s sister Isha is no longer coming after her, but the damage has been done. Caroline has to return to the Underworld in order to heal, and she has to get back to her fake dating in order to maintain her Royal status. She continues to connect with her wife with their dream connection, but she can’t go to see her face to face. Mina isn’t happy with these arrangments, but she has to put on a brave face both for her daughter Diya and for Caroline. I didn’t realize how much I missed Caroline and Mina’s relationship until I read this novel! They maintained their deep emotional connection even though they were both dealing with trauma from the previous events. Mina had to deal with Isha coming back in her life. Even though Isha seemed apologetic, Mina was still on edge after hearing that she was working for the Enhanced that hated Caroline. Caroline has to face the Demon court day after day, knowing that most of those people only tolerated her, and deal with PTSD from her imprisonment. They support each other in their dreams, even when their dreams are sometimes infiltrated by thoughts of trauma, and then go back to their respective lives every single day. Diya also has to learn how to live without her mom, the one who was supposed to always be around to protect them. Everyone is hurting, but they try to support each other through the pain. Caroline’s PTSD tends to manifest itself in her powers. She is struggling to control them, and the stressful environment of Demon Court is not helping her case. Her new friend Seph helps her through this, and makes her feel less isolated in this new and unfriendly environment. I think that some things could definitely be brewing in that friendship, but I HOPE that things will straighten themselves out. Seph is such a nice person, and I don’t want her to have to go back to having no friends. Caroline didn’t pick up on anything because of her being Litcorde/autistic, but I definitely picked up on PLENTY of things. I just…..I need Seph to be happy! She is so sweet, she deserves happiness too. Mina’s storyline continues as she returns to the police department. More things are revealed as she works with her sister to try to stop Isha’s higher-ups from working with the Enhanced. This reveals that Mina’s police team is the “throw-away” team full of disabled, LGBT+, female, and minority policepeople. They are a family and they do their jobs well, but they aren’t taken seriously by the other squads. This was a truly realistic and interesting plot point, as it delved into how discrimination can be in a place that disguises itself as being more open. Overall, I absolutely loved this book! I am already working on book 5, and then I will just be waiting for the next release in the series. I received a copy of this book and this is my voluntary review. Rambling About The Incredible Hulk (2008) With Spoilers!